Built in 1868, the Sellers Mansion (801 North Arlington Street) is a three-story Second Empire brick house with a mansard roof that rivaled its outer suburban contemporaries in size, quality of craftsmanship, and attention to detail. Its carved stone lintels, patterned slate roof, original roof cresting, and its two classically detailed porticoes (one of which still retains its elegantly carved wooden columns and capitals) identified this household as one of taste and affluence. Although carefully restored in the 1960s and adapted to a variety of community uses through the early 1990s, the mansion currently stands vacant and in an advanced state of deterioration. The windows are missing, wood trim is rotting, and exterior masonry is deteriorating. The roof has failed in a number of places. 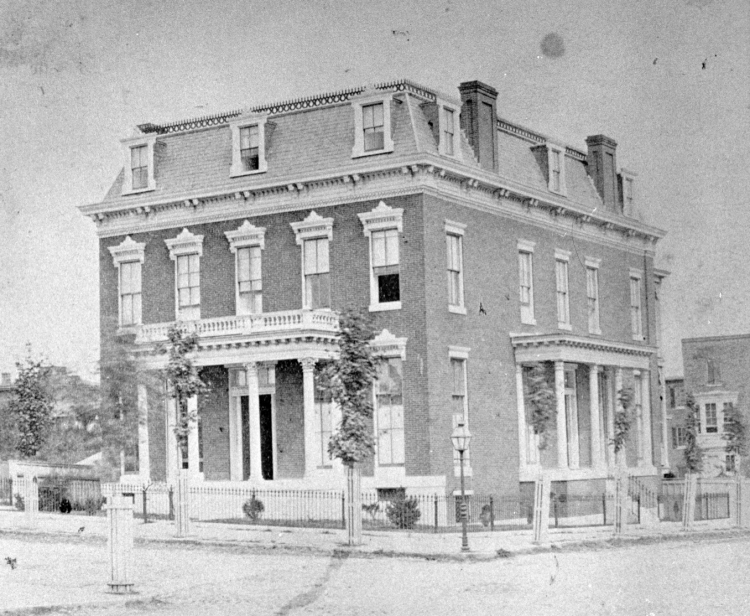 Sellers Mansion occupies a prominent corner of Lafayette Square in West Baltimore and is at the center the Old West Baltimore National Register Historic District. This district, with over 5000 contributing structures, is one of the largest predominately African American historic districts in the country. The mansion is the only remaining detached private residence on the Square, and one of the first residences constructed there. It is owned by St. James Episcopal Church, also located on Lafayette Square. The Church has expressed an interest in restoring the building. The building was included on the 2006 inventory of endangered buildings by Preservation Maryland. With advanced deterioration, work will need to begin soon if the building is to be preserved.